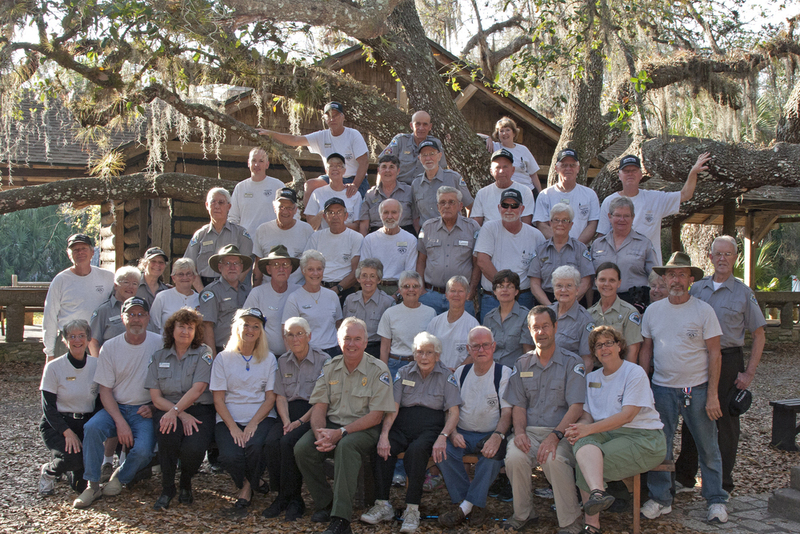 If you are looking for a way to help the park this coming season, please consider volunteering at Myakka. We are in need of volunteers to help out in our very busy ranger station. This is a fun, rewarding position that includes checking in and out campers, answering park questions, answering the phone, selling park merchandise, selling annual passes and other basic office duties. The team of staff and volunteers who work in the ranger station are a great bunch of folks who love their job. Once you start you will be hooked and on your way to making great park friends! Benefits include a free Myakka State Park Pass for 100 hours of service and a free Florida State Park Pass for 500 hours. For more information please call Teresa Good at 941-373-7839. Looking forward to meeting you! To say that Bob was a volunteer at Myakka River State Park is quite an understatement. Bob was one of the founding board members when Dr. Mary Jelks and Senator Bob Johnson formed the Friends of Myakka River organization in 1992. He served on the board as President and was active on the board for 8 years. Bob co-chaired the canopy walkway project with Dr. Meg Lowman, together the board raised $150,000 for construction. Due to Bob’s guidance and financing they sent 24 kids from the Boys and Girls Club to Peru to observe a huge canopy walkway as an educational experience. Bob created the “Walk on the Wild Side” hikes to deep hole to show residents and world travelers the diversity that is Myakka. Over the course of 4 years he led over 50 hikes to Deep Hole and raised money for the Friends of Myakka inthe process. For over 8 years Bob was the regular Bird Interpreter at the birdwalk on Sunday mornings pointing out to thousands of visitors the incredible bird and natural life that we have in our backyard at Myakka. Bob has been a mentor and inspiration to many aspiring outdoor enthusiasts over the years, myself included, but I know from watching him that he is most passionate about showing young people the wonders of the natural world in the hope that it will also become a lifelong passion for that child. Thank you Bob for your inspiration. Friends of Myakka River, Inc.
Bob is pictured above fourth from the right.